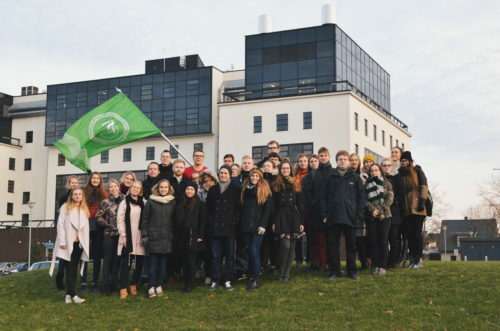 The Pharmaceutical Society of the University of Tartu was founded in 1990 to diversify pharmacy students´ studies by organising exchange programmes, social events, seminars and field trips. Our goal is to connect Estonian pharmacy students through different projects, educational programs and social events. Our purpose is to make students aware about the professions of pharmacy field and change its position in our society. For this reason, we have different events and we also educate pupils in schools. We believe that the health of our society is very important and developing the acknowledgement about health is our key activity. We organize different seminars about healthcare. The main seminar is called “Autumn Seminar” and is mostly taken part by active pharmacists and also students. TYRS is a member of International Pharmacy Students´ Federation and a candidate member in European Pharmacy Students´ Association.